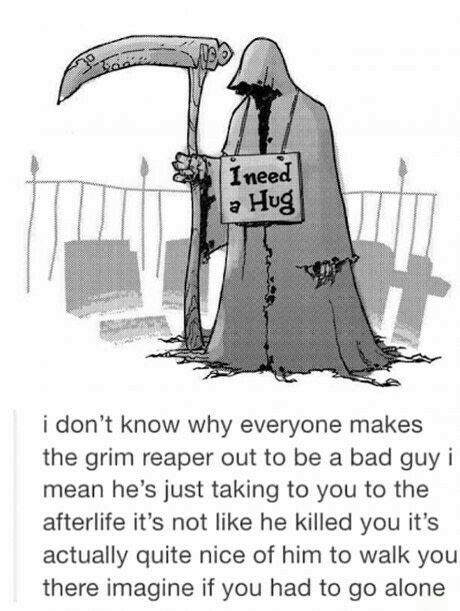 Funny Grim Reaper I Need A Hug Joke Picture - I don't know why everyone makes the grim reaper out to be a bad guy. I mean he's just taking you to the afterlife. It's not like he killed you. It's actually quite nice of him to walk you there. Imagine if you had to go alone.